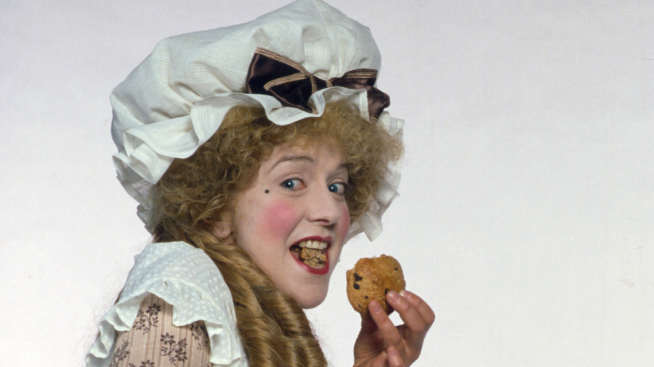 The character of Mrs. Miggins is mentioned in the second series of Blackadder, but actually appears in the third. Here’s a look at Mrs. Miggins, and her pie and coffee shops. Although she only plays a relatively minor role in the Blackadder saga, the name Mrs. Miggins is embraced with fondness throughout the land. It’s also connected quite often with pie and coffee shops! 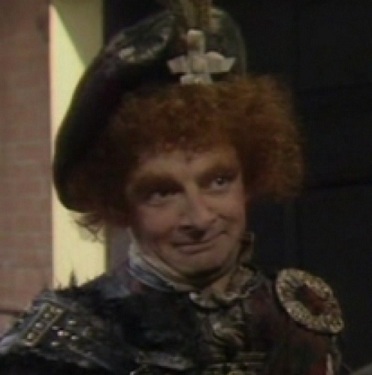 She is referenced a number of times throughout the second series of Blackadder, but never actually makes an appearance. Perhaps the most memorable time she is mentioned is in the episode featuring the Baby Eating Bishop of Bath and Wells. Mrs. Miggins is a recurring character in the third series of Blackadder, played by Helen Atkinson Wood. As a jolly, half-sharp middle-aged woman, she in effect replaces the role of Nursie from the second series. 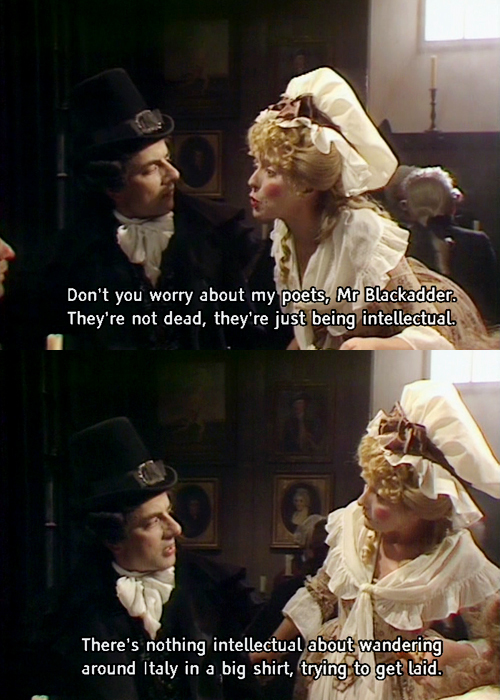 Mrs. Miggins is a widow, and throughout the series, has hopes of marrying Blackadder. However, in the last episode, she ends up marrying MacAdder, who is Blackadder’s cousin. Due to the pie shop quote from the second series, many people think that she owns a pie shop in the third series as well. This is not the case though, and in fact she owns a coffee shop. With that in mind, Blackadder does describe her coffee as “Brown grit in hot water”. Perhaps this gave some inspiration for Baldrick’s Coffee in the 4th series. It also seems that the coffee shop has a delivery service, with Mrs. Miggins delivering in person. She is seen several times in the Prince’s kitchen with Blackadder and Baldrick. In the last episode she even gets to meet the Prince himself. This explanation about the voting system is one of our favourite scenes! Finally, some people think that Helen Atkinson Wood appeared in Blackadder’s Christmas Carol as Mrs. Scratchit. This is not the case though. That character was played by Pauline Melville, otherwise known as Vyvyan’s Mum from the Young Ones!